The candidates are asked to submit applications for 2019 Fulbright Foreign Language Teaching Assistant (FLTA) and this program has the duration of nine months. US department of State has funded, non degree program to provide young teachers of English as the opportunity to refine their teaching skills and increase their English language proficiency. The students can extend their knowledge of society and culture of United States to teach their native language to US. The students and the strengthening foreign language instruction at the colleges and university of US. The participants of Fulbright FLTA discussion with their host communities in the forms of conversation groups, extracurricular activities and the community outreach projects. 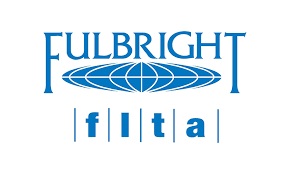 The Fulbright FLTA participants must return to their home countries on the completion of their programs. The Fulbright Foreign Language Teaching Assistant (FLTA) is the fully funded offered by US State Department. Al FLTA Fellows will receive a Monthly Stipend. Having Pakistani nationality with valid Pakistani Passport. Be a young, energetic and early career educator. The candidates are not required to take the TOEFL exam. You need to download Application Form (MS Word File), which is given below. The USEFP office will notify you after receipt of application by email. This may take some time as there may be some applications to process.